Screen printing is a good way to create buzz about your event. Fabric, more than paper, is likely to stick around in a client’s desk or at home. And it’s far more interactive than most pieces of paper or card stock. Just that texture of the fabric and ink invites handling! 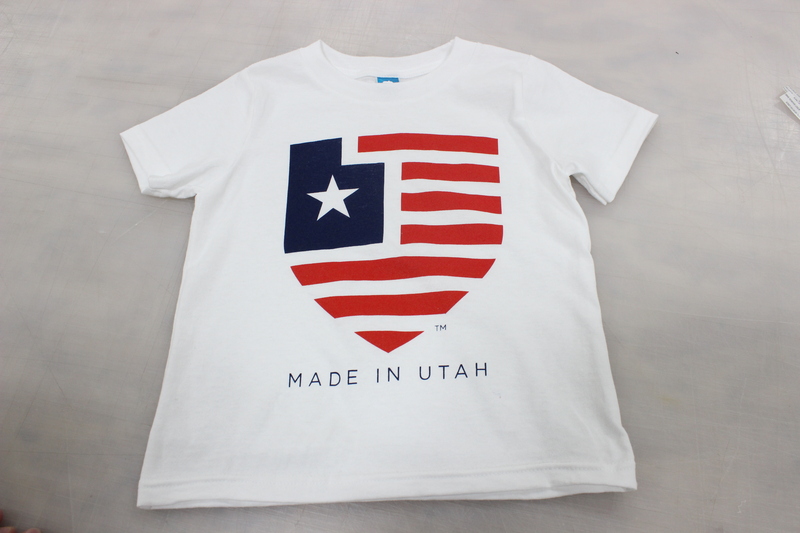 These ideas can help you get started on screen-printing for your next event or campaign! 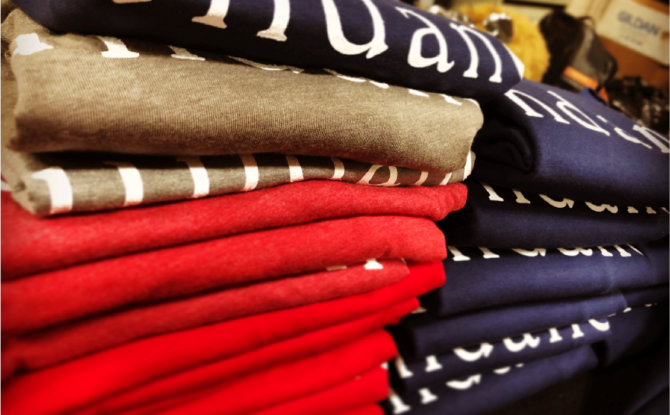 Send your attendees away with something to remember you by, or entice them in with T-shirts! With prices ranging from a couple dollars to a couple cents depending on the style, it’s an inexpensive, simple solution! Shirts give more than they take because of that ROI. Whether you sell them or give them away, be prepared to get your money’s worth out of a well-done event shirt. Make your shirt successful with more than just a logo slapped on it somewhere. You don’t want all your effort going to waste if the shirt ends up forgotten or given away! Find a design your clients, attendees, and even employees will want to wear again that still speaks to your brand. This one belongs to Alexander’s and is versatile enough that any of our Utah-based team can wear it every day! Using creative, versatile designs like this keeps your marketing efforts going long after the event. We usually think of printing our physical invitations on paper–but did you ever think to do it like this? 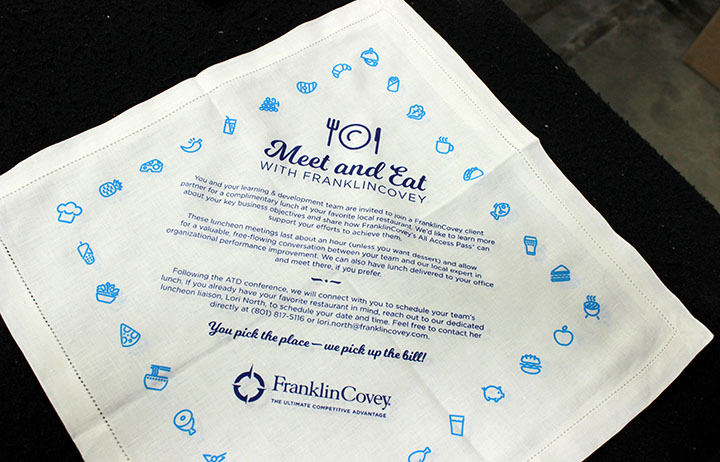 This invitation for Franklin Covey comes on a cleverly-done napkin. It perfectly matches the theme and feel of their Meet and Eat events, and serves as a great reminder just with its form. Similar ideas are especially effective for your event if it’s themed around food, weddings, or decor. Print an invitation on something small and easy to use again–especially if your event is annual or part of an ongoing campaign! Make your printed event ideas a reality! Contact us today to learn more about our screen-printing process and how you can use it for your event or franchise.